A few steps away from the train tracks and less than ten minutes walking distance from the famous San Juan Capistrano Mission, Hidden House oozes small town charm. 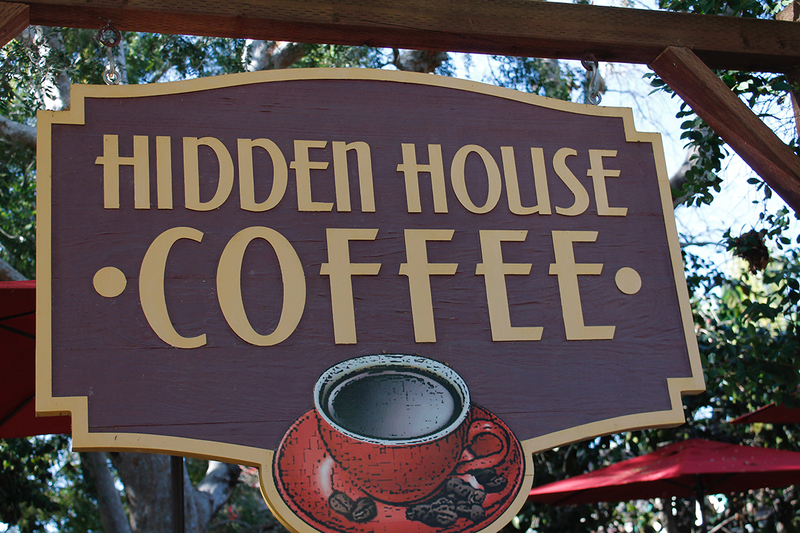 Hidden House Coffee Roasters, often referred to as Hidden House, is located in the historic Los Rios District of SJC. Inside feels cozy and friendly cashiers efficiently take orders. Previously a small residential house, two bar counters, a high table, and a coffee grinding station are all squeezed into the clean shop shop. Bags of coffee beans line the grinding station wall while two employees work grinding fresh coffee beans in the corner. 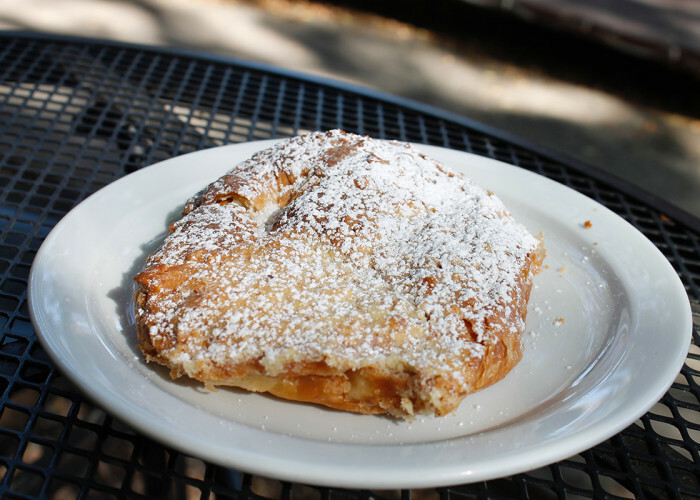 After ordering an iced mocha, hot vanilla chai tea, almond croissant, and blueberry muffin, my brother and I head outside to the many small group tables scattered throughout the front and side yard. Under shady trees birds flitter through the fresh air in search of crumbs as leaves fall occasionally. 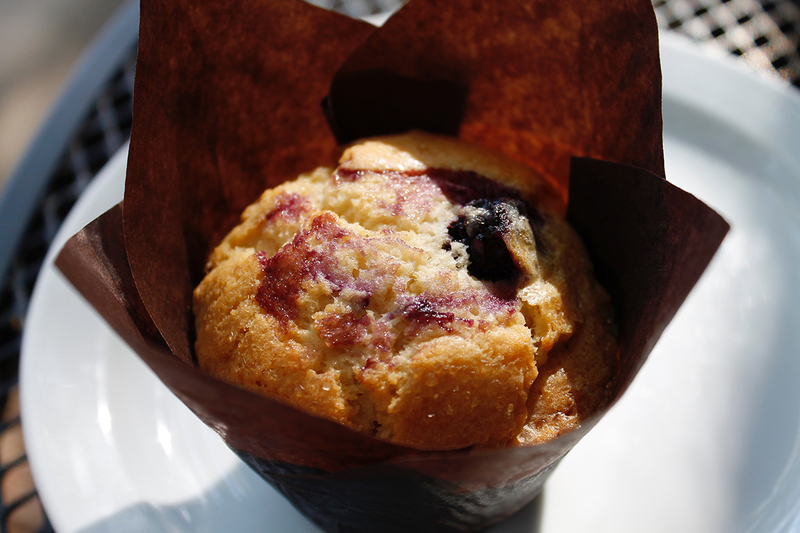 There was only a couple minutes wait for the drinks, unlike the pastries which were handed over after paying. Train stops are frequent and can be distracting from the beautiful scenery. 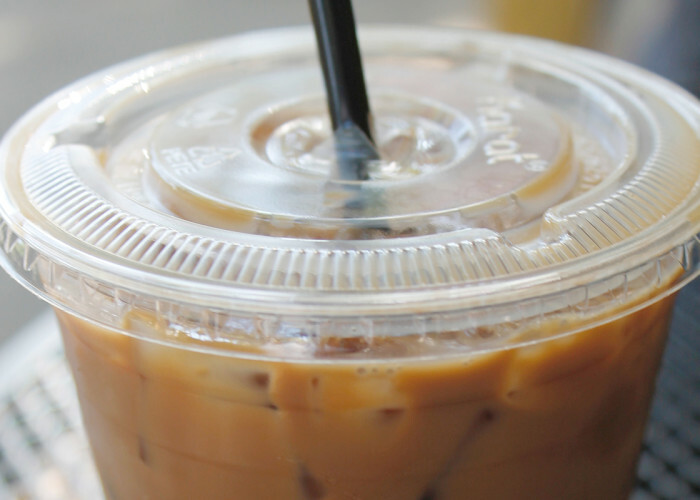 The first sensation that hits you after sipping their iced mocha is the dry bitter taste of strong coffee. Different from many other coffee shops, their mocha tastes of cocoa powder instead of chocolate. The iced mocha is cool, very slightly milky, and refreshing, however much too bitter for my preferences. 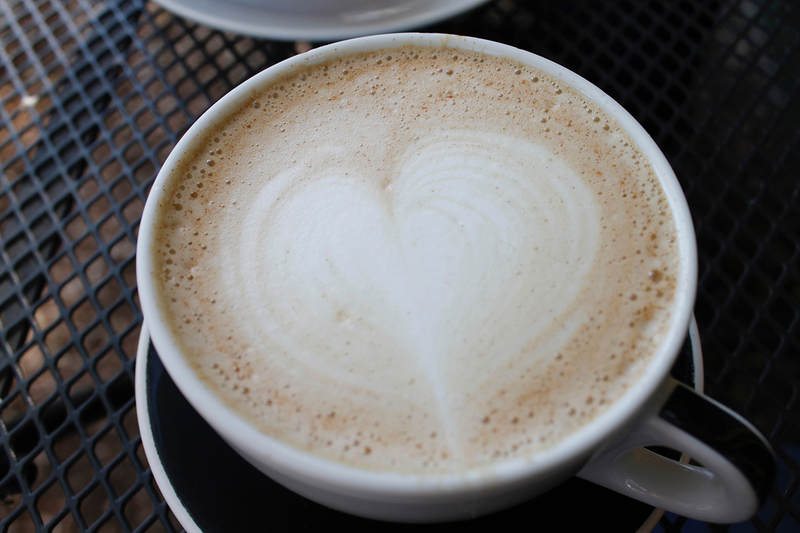 Hidden House’s hot vanilla chai tea is delicious and creamy with a strong vanilla flavor. 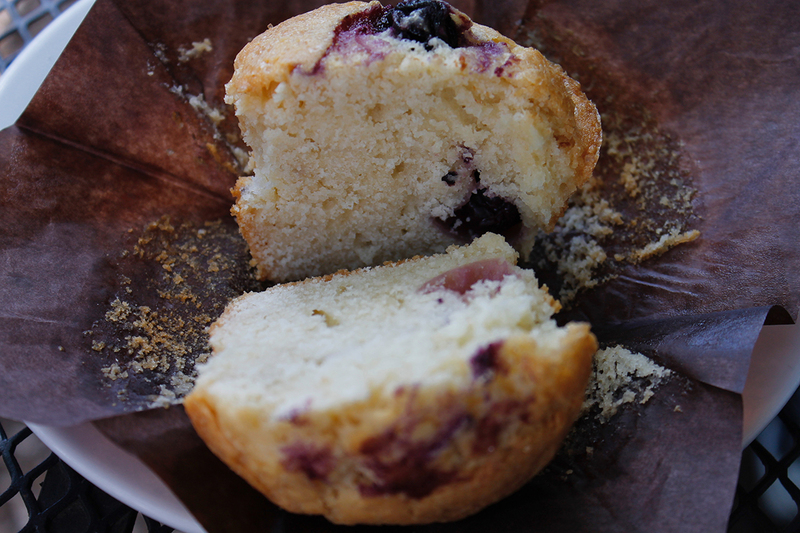 Their blueberry muffin tastes incredibly similar to sweet cornbread and the top is delightfully coated in a sugar glaze, yet blueberries were surprisingly lacking. 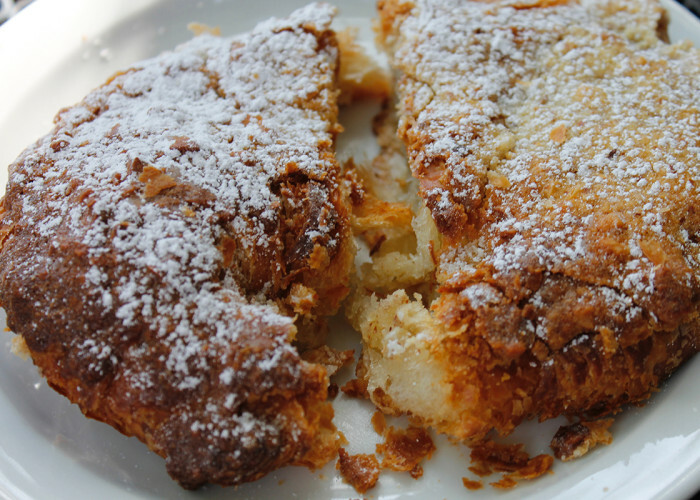 The best treat from the cafe was the almond croissant, dusted with powdered sugar and warmed up with sliced almonds baked into the sweet filling. 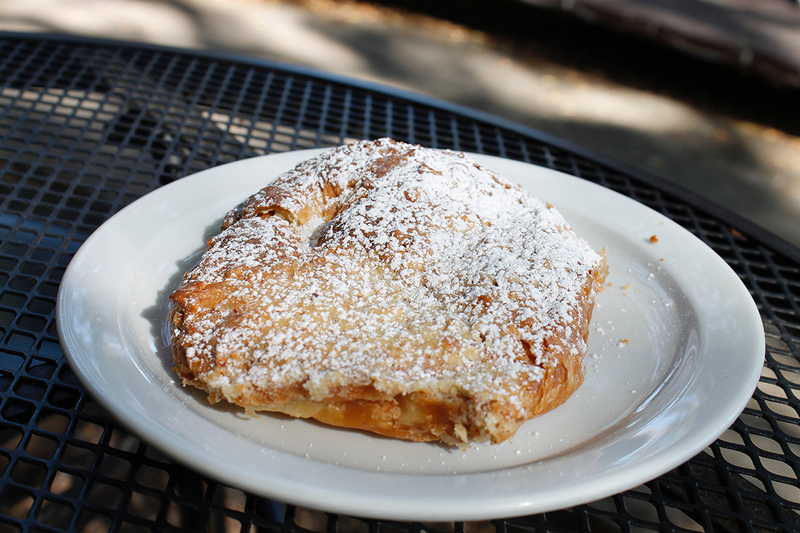 Hidden House’s scrumptious almond croissant, rich vanilla chai tea, and moist blueberry muffin are incredibly tempting, but I consider their mocha an epic fail.